Welcome to the latest instalment of our newsletter, this week I wanted to start by asking for your help. 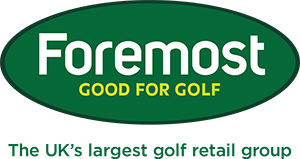 At this time of year we are making decisions about what golf brands to stock in the shop next year, we have a good idea of what the most popular products are but if you could give us some feedback about what you would like to see in the shop it would be much appreciated. From hardware to clothing to GPS, we need to make sure we are stocking the right brands that you are interested in and would like to buy. We have come up with a simple 5 question survey that will take just seconds to complete - click here to view - your feedback will be invaluable for us. 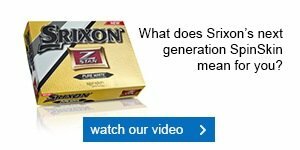 Everyone that completes the survey will be entered into a draw to win a dozen TaylorMade Tour Preferred balls worth £39.99. According to Rory McIlroy the inevitable happened on Sunday as the nearly man Jason Day finally won his first major with a three shot victory at Whistling Straits to be crowned PGA Champion. Day finished with a 67 to record a 20-under-par total and in the process broke the record for the lowest total score at one of golf's four majors, some achievement! Nobody could deny the merits of Day's victory after a number of runners up finishes, the very moment he holed the winning putt the tears began to flow showing how much the achievement meant to him. Also Jordan Spieth usurped Rory McIlroy as the number one golfer in the world rankings courtesy of another high finish, McIlroy took this in good spirit as he was quick to congratulate both Day and Spieth with this tweet. The win vaults Day up to number three in the rankings and leaves golf in the enviable position of having its top three be young, marketable guys to build the foundation of the game on. With Spieth, McIlroy and Day winning five of the last six Majors it's clear that the game is in rude health. Next year should be a fantastic one in the golfing world as I'm sure Rory McIlroy will relish doing battle with proven winners such as Spieth and Day as well as others such as Justin Rose, Rickie Fowler and Bubba Watson the biggest shame is that it's nearly another eight months until the Masters! Please call in to have a look at our full summer sale in store before it finishes! One of our most popular events of the year is our night golf challenge, and believe me if you haven't tried night golf you really need to as its cracking fun! It's coming up on Friday 16th October at 9.30pm, have a look at the attached poster for full details. A final reminder that Captain's Day takes place this Saturday organised by captain's Liam and Annie, and the forecast looks like we will be getting some warm weather for the day although maybe the odd chance of a shower. I'm sure that Liam Tyrer will be wet enough after his round anyway as it's a long standing tradition to chuck the current men's captain into the ninth pond after their round! The Captain's Day competition will be followed by evening entertainment consisting of a BBQ, live music and disco, with a charity casino and auction and a late bar. Liam has asked me to remind you that there will be a nearest the pin competition on the seventh and sixteenth with a longest drive on holes nine and eighteen and the Captains bunker for charity will cost £1 instead of 50p. Liam's chosen charity this year is Wargrave House Autistic School and hopefully we can raise plenty of money on the day for this good cause. Thank you to the majority of you that have already purchased tickets for the night times events at the early bird discount price of £20 a ticket, today is the LAST day you can buy them at the special rate. If you pay on the night it will cost you more, don't say I didn't warn you! Well played James Eaton who won the August Midweek Medal last Wednesday, his round got off to the perfect start as he made a tap in eagle on the first hole, this was followed by birdies on holes three and four. After such a fast start he threw in a few bogeys but another birdie on hole thirteen steadied the ship and he scored a fine nett 67 playing off his 6 handicap. Chris Whalley also scored a nett 67, but lost out for first place after a card play-off, the highlight of his round was a birdie on hole fifteen, in third place was Stuart Fallows with a nett 70. In the Midweek Medals Order of Merit Martin Major has a two point lead over Stuart Fallows and a four point lead over Alan Tayler and Chris Whalley, with one more Midweek Medal to go it's all to play for! We have another fitting day coming up with Tom from Callaway on Bank Holiday Monday 31st August 12-4pm, the good thing about this event is that it will also be the opportunity to get fitted early for some new Callaway products that are to be launched in September. You may have seen in the golfing press that Callaway are launching a new Great Big Bertha driver, having seen a sample of the driver I think it's the best looking driver they have ever made, but it also performs extremely well, can you believe that the first Big Bertha was released on the market as far back as 1991, how is this latest version so much better? Well the new Great Big Bertha is lighter than previous models mainly done through the stock shaft offerings being up to 21 grams lighter than previous offerings, the head is also lighter by 3 grams than older models, saving on weight allows you to swing the club faster which equals more distance! 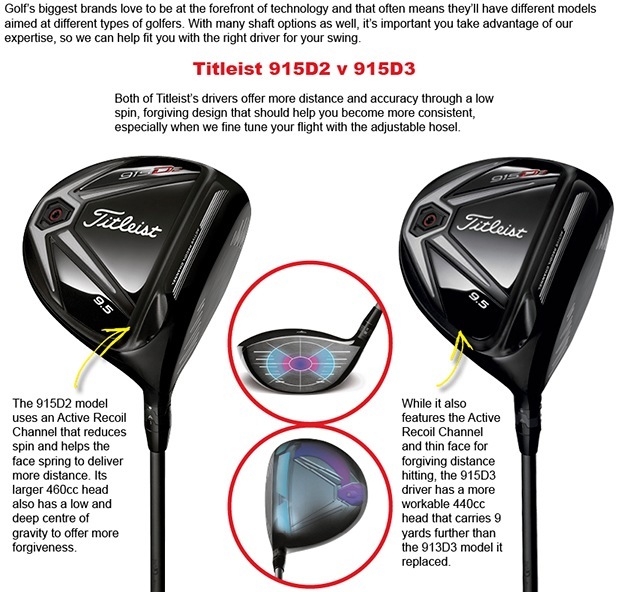 The significantly lighter set up is also coupled with even more draw bias capability through weight adjustment and a much higher MOI in this driver also means more forgiveness, Callaway seem to have every base covered with this driver and Phil Mickelson has already put it in his bag! Have a look at this video made on the Callaway tour truck just last week at the PGA Championship about the new wedges. On the fitting day you will have the chance to hit these new clubs and have a FREE fitting before their official release date! You can also book a fitting for any other clubs in the 2015 Callaway range, contact me here if you would like to book a slot. Our Junior Club Championship was played on Saturday and our young Cheshire junior Kieran Underwood blitzed around the course in a four under par 66 - nett 59 off the yellow tees. This brilliant score included five birdies and just one bogey, and meant that Kieran comfortably won the best gross and best nett prizes. Kieran wasn't off 7 for long as he has now reduced his handicap to 5.5, well done Kieran! Well done also to Rhys Nevin-Wharton (handicap +2) who has been chosen to represent England in next month's Junior Players Championship sponsored by TaylorMade-adidas Golf at the world famous TPC Sawgrass, Florida. The tournament consists of 78 of the best junior golfers from all over the world. Rhys has had a good season so far with finishes of tied third in the Sir Henry Cooper Junior Masters, tied fourth in the Irish Boys Open and representing England in the boys Home Internationals as well as playing in the winning English team at this year's junior Nations Cup in Holland. Here are some of the children who attended last week's taster sessions. All the sessions last for an hour and will be for a maximum of 10 juniors, all equipment is provided. As there is a limit on numbers you must book your child on the session in advance, you can book by contacting me here. Alaine Britton has certainly hit a good patch of form as she won her second ladies competition in a row last Thursday, in the nine hole Stableford she scored a massive 23 points including a birdie on hole six, her handicap has now dropped to 29, well played Alaine! In second place was Alaine's good friend and regular playing partner Di Sommerville with 19 points despite two blobs, Di has also had a number of good scores recently and her handicap has dropped to 35. In third place was Jean Clare who also scored 19 points. In the Monday evening Stableford we had a first time winner in Sharon Dunning, Sharon scored a fine 22 point total including a solid par on the last hole for four points, Sharon's new handicap is 34. In second place was the ever consistent Christine Paxton with 20 points and finishing in third was Sarah Dee with 19 points. Don't forget that the ladies Club Championship has been re-arranged for Saturday 29th August at 1pm, let's hope for some better weather than last time! The seniors played a yellow ball competition on Tuesday the winning team were Rhett Butler, Alan Tayler and Bob Griffiths, well done also to Bob Bowen who chipped in for an eagle two on the par four he put this down to a lesson from Adrian Hill last Sunday - it obviously worked! Next week it's an 18 hole Stableford for the seniors. Many of you will have seen how effective the R15 was for Jason Day at Whistling Straits. Despite being long, no doubt the Australian has his big stick dialled in for his game. 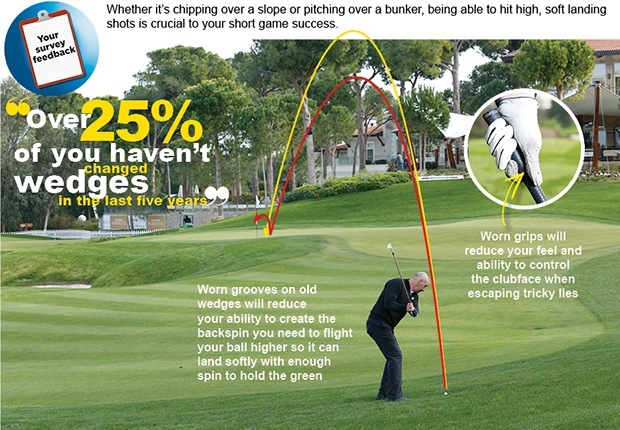 For amateur golfers this is even more important. Speak to us about custom fitting and help with your adjustability options.